If you live on the East Coast, you might have an unusual dilemma. The weather is stuck in summer and I am trying to have my wardrobe look like fall. 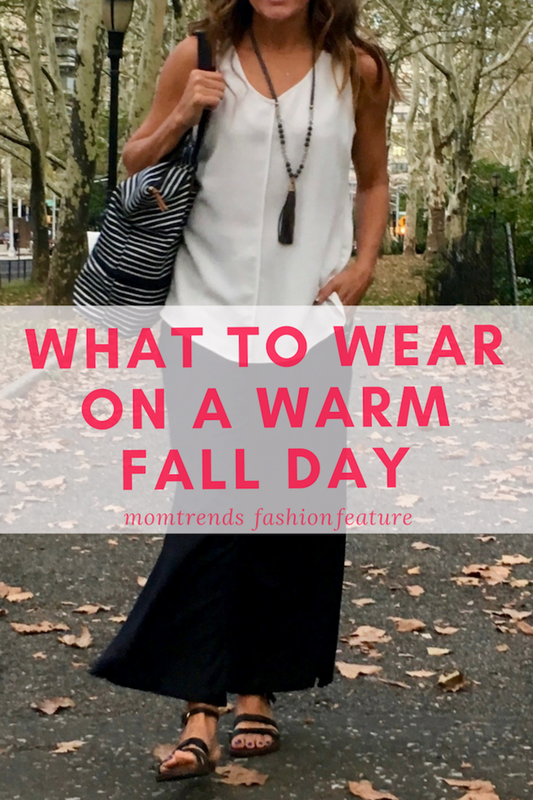 Today the answer to: What to wear on a warm fall day, since we are all about outfit solutions her at Momtrends. You know by now that I don&apos;t believe in shopping my way out of a problem. I look at weather situations as a challenge to put new things together that I already own. I started with these fun lightweight wool pants from Colovos. They are swingy and the perfect pant to anchor this outfit. My motto: start by shopping my closet. This outfit needed to be chic and, as always, take me from mom time to work time. 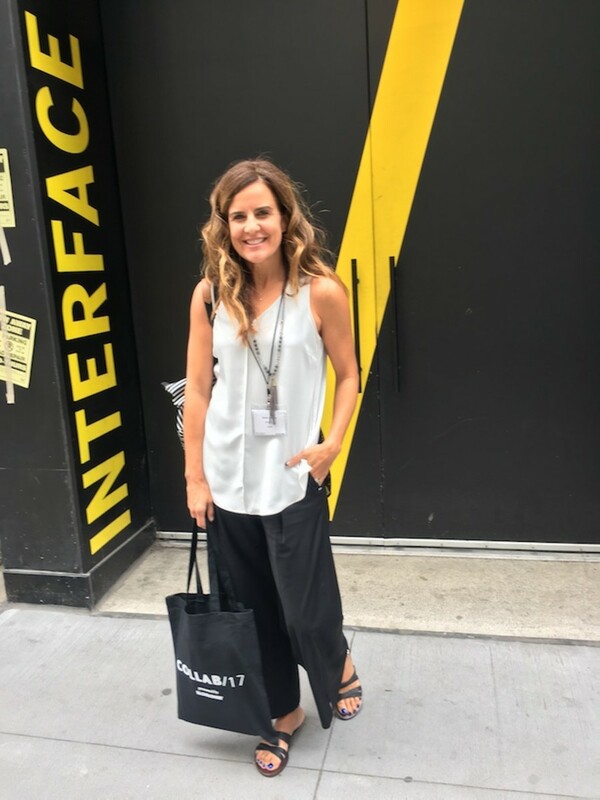 I was heading to the Bloglovin Collab, a chance to see what the youngsters of the social media world are up to. I&apos;ve been in this game a long time (10 years, let&apos;s hear it for being a Mom Boss!). I try to stay grounded by my community, listening to moms and giving them more of what they want. At the same time, I want to see what&apos;s next, so I go to these things to stay up to speed. Now that I&apos;m in my 40s, my outfits are inspired, not by trends, but by what I love. That means pairing pants with a white cabi top I&apos;ve had for a few years. I layered on a tassel necklace and some great sandals and off I went. The only new piece was this black and cream stripe tote. 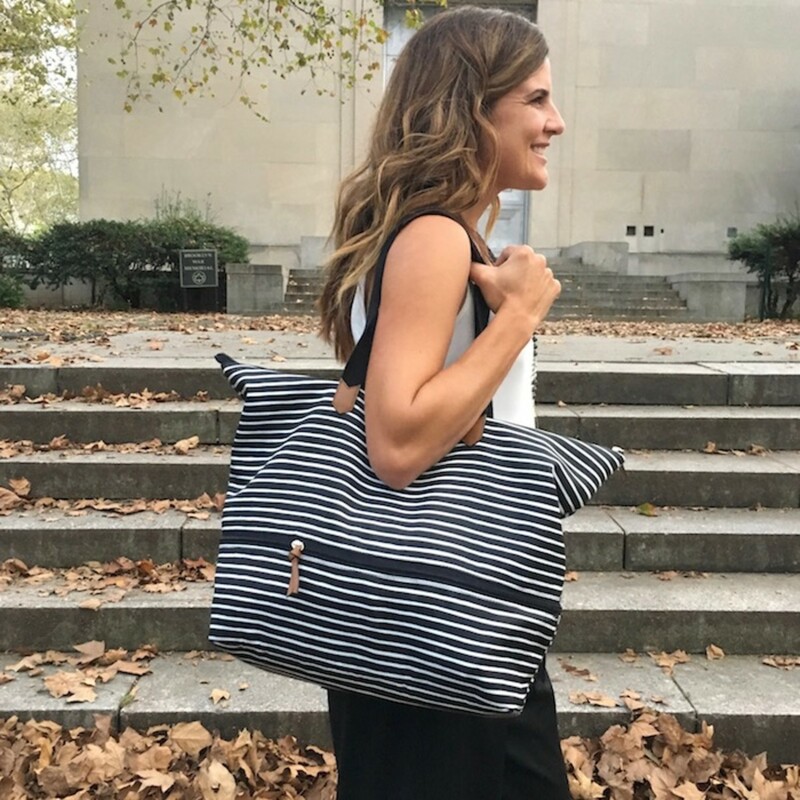 The Daytripper tote! is perfect for every day. This was gifted by Stella & Dot and it&apos;s a perfect carry-all for my epic days. I wish I could survive with a small little bag, but I need my gear to keep things going. Are you enjoying the ongoing summer? I sure am. Let me know what you are wearing! Momtrends was not paid for this What to Wear Warm Fall Day post.